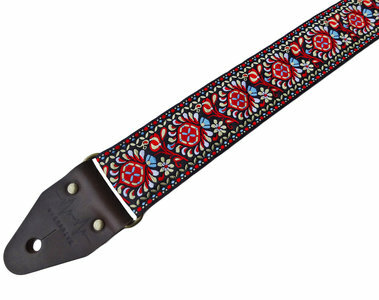 "Woodstock" strap. 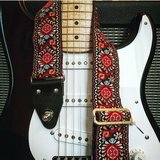 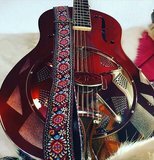 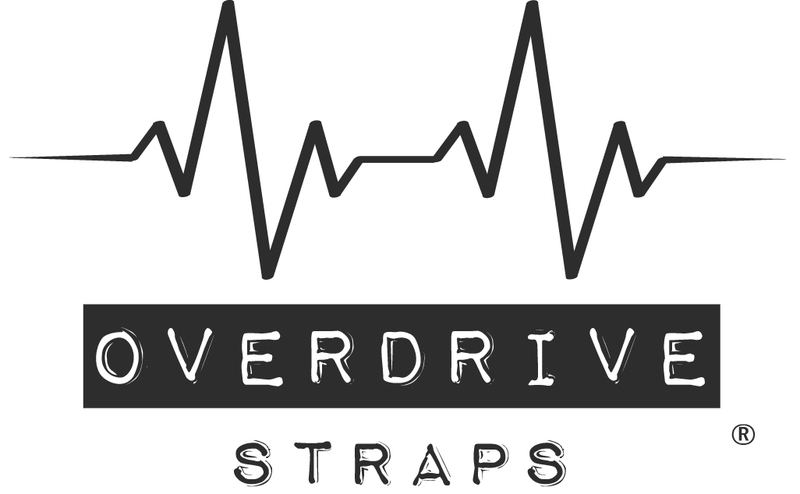 Beautiful retro vintage guitar strap. 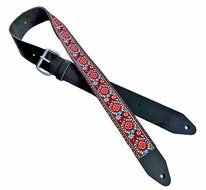 Leather, seatbelt & hardware colors all optionable to your style!